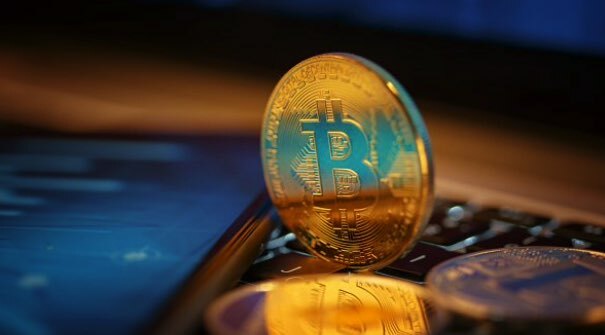 Bitcoin BTC/USD is trading at 3720 and continues to move as part of the decline. BTC/USD quotes are trading below the bottom of the Ichimoku Kinko Hyo Cloud. This indicates the presence of a downward trend. As part of the Bitcoin prediction & analysis BTC/USD November 28, 2018, a test of the Ichimoku Kinko Hyo signal lines is expected near the level of 3850. 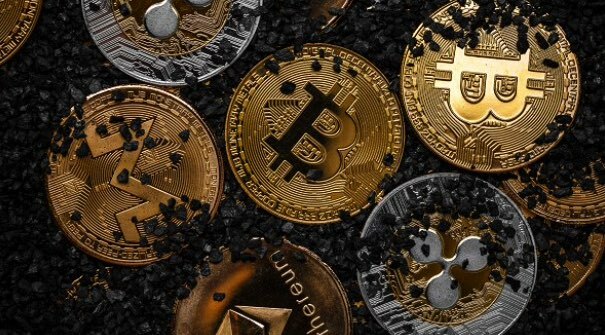 Where can we expect a rebound and an attempt to continue the fall of Bitcoin cryptocurrency with a potential target of 2800. In favor of the fall of the BTC/USD cryptocurrency quotes, a test of the resistance area will come out. As well as a rebound from the upper boundary of the descending channel. 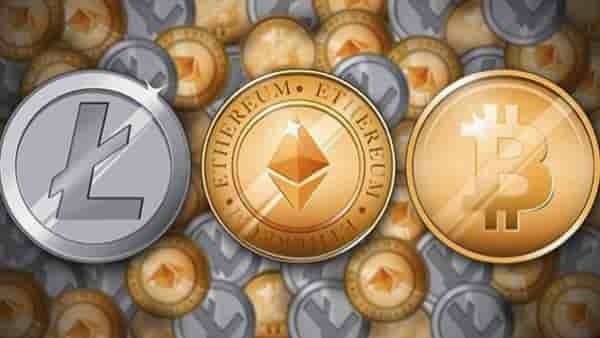 Earlier, a strong signal was received for SELL the Bitcoin cryptocurrency. The signal was formed due to the intersection of signal lines at the level of 6100. Canceling the option of falling Bitcoin quotes will break the upper boundary of the Ichimoku Kinko Hyo Cloud with quotes closing above 4400. This option will indicate a change in the downward trend in favor of an upward trend and continued growth of the Bitcoin rate. Expect to accelerate the decline of BTC/USD quotes with the breakdown of the lower bound of the downward and closing below the level of 3600. 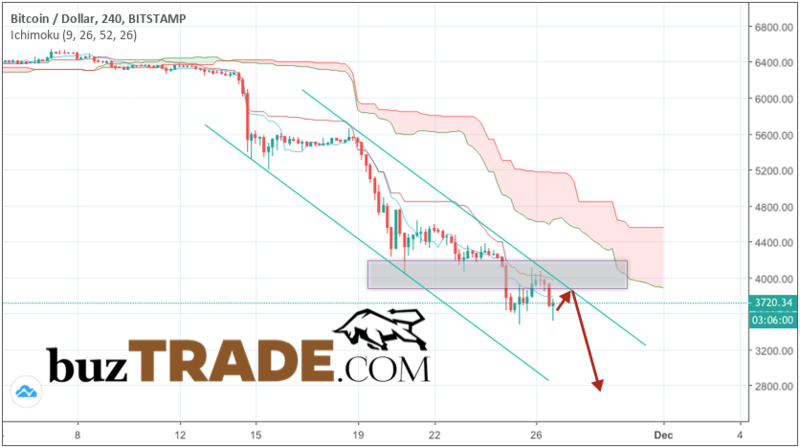 Bitcoin prediction & analysis BTC/USD November 28, 2018 involves an attempt to correct cryptocurrency and test the resistance level near the area of ​​3850. Where can we expect further decline of Bitcoin with a potential goal near the level of 2800. Cancellation of the reduction option will be a strong growth and breakdown of the area 4400 This will indicate continued growth.